This year has seen a glut of mirrorless compact system cameras (CSCs) being released from the majority of the top manufacturers. With a range of CSCs in all manner of shapes and sizes on offer, the market is incredibly competitive. These highly versatile interchangeable lens cameras such as the Olympus PEN E-P3, Sony NEX-5N and Samsung NX200 are fighting to stave off rivals in the CSC, advanced compact and entry-level DSLR categories. To that end, Panasonic's latest model – the Lumix DMC-GX1 – enters the fray with all guns blazing. In addition to headline features that include Full HD movie recording, a 3-inch touchscreen and a robust all-metal body, the new camera sports a 16MP Four Thirds Live MOS sensor (CMOS). Size-wise this sits in between your average smaller compact sensor and larger DSLR (APS-C format) equivalent. 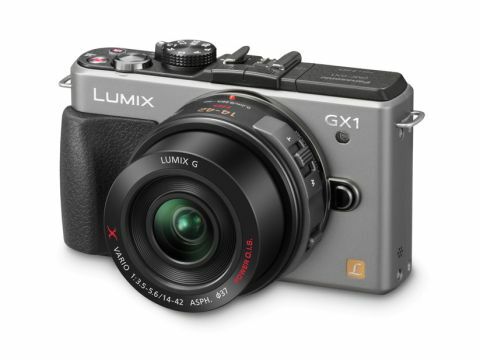 Compared to a compact sensor, the Panasonic Lumix DMC-GX1's 17.3 x 13.0mm offering provides scope for larger pixels, theoretically enabling the camera to produce better quality images overall, particularly in low light. Aimed at advanced enthusiasts, the Panasonic Lumix DMC-GX1 is designed to fill the void left by the acclaimed Lumix DMC-GF1, which sported a level of manual functionality that photographers missed with the subsequent launches of replacements; the Lumix GF2 and Lumix GF3. Could the flagship model of Panasonic's brand new GX series be the best G-system camera to date? At the heart of the Panasonic Lumix DMC-GX1 beats the same 16MP Four Thirds Live MOS sensor that was incorporated into the Panasonic G3, along with Panasonic's advanced Venus Engine VII HD processing engine that we saw in the GF3. The G3 impressed in the image quality department, so it stands to reason that the GX1 should be capable of putting in a similar performance. Although it's not intended as a direct replacement for Panasonic's existing mirrorless interchangeable lens cameras, the Panasonic Lumix DMC-GX1 does offer some new and/or improved features over its predecessors; not least its all-aluminium body and array of metal (rather than plastic) controls and buttons that add a premium quality feel to its design. Around the back, the camera sports a 3-inch screen that's clear and bright, with a wide viewing angle to compensate for the fact that – in contrast to its G-series predecessors – it's fixed, rather than articulated. At 460,000-dots, the display's resolution is the same as the G3's. It's not the most detailed in its class, but perfectly adequate for everyday Live View shooting and checking for focus/sharpness in playback. The autofocus (AF) system is also the same 23-area, contrast-detect offering that we saw in the G3, which delivers a swift, accurate and responsive performance under a range of lighting conditions. The GX1's new touchscreen functionality means that it provides Panasonic's innovative Touch AF and Touch Shutter features, as well as Autofocus Flexible, which automatically switches between singe and continuous AF wherever necessary. These elements all combine to create a versatile, easy to use and quick AF system. Panasonic claims its autofocus (AF) system is the fastest in any current CSC - just 0.09 seconds - but the same has been said from several other manufacturers regarding their own models, so we'll reserve judgment until we see some official figures from them all. Adding to the Panasonic Lumix DMC-GX1's speedy credentials is a continuous burst mode that Panasonic states to be around 4.2fps at full resolution – a figure that seemed about accurate in our tests. If you need more speed, there's the option to drop the resolution to 4MP and achieve a blistering rate of 20fps instead: another feature inherited from the G3. Options for budding film-makers have been upgraded, with the Panasonic Lumix DMC-GX1 offering Full HD movie recording with stereo sound. You also have the option of shooting videos in AVCHD format to save space, or you can now alternatively record MP4 files. Low-light shooters also benefit from an expanded range of ISO sensitivities to choose from, with the GX1 adding a top-whack setting of ISO 12800, whereas the G3 tops out at ISO 6400. Whether or not this new setting produces usable results is another matter, and one we'll tackle in a minute.